Dog owners in Cardiff have launched a campaign against plans to ban them from walking their pets on sports pitches. They face spot fines of £100 if caught breaking a proposed new public spaces protection order (PSPO). Penny Bowers, who has founded an action group, denounced the plan as “a sledgehammer to crack a nut” which would place many parks out of bounds. Cardiff council said it had to tackle a minority of owners who did not control their dogs or pick up mess. Rhondda Cynon Taf council already bans dogs from marked sports pitches, and is one of 12 out of the 22 Welsh councils which has already introduced a PSPO to tackle dog fouling. Under Cardiff’s proposed PSPO, dogs would be banned across the city from council-owned or maintained marked sports pitches, enclosed playgrounds and schools. 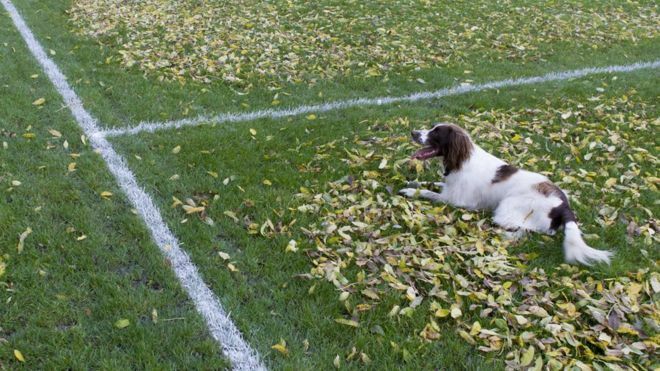 Owners would, however, be able to exercise their dog on the playing fields outside “the relevant playing season”. The council said the move was in response to concerns about the cleanliness of open spaces, with 500 complaints about dog fouling between April 2016 and 2017. But dog owners say banning dogs from marked pitches would mean they would not be able to walk their pets in large areas of some parks such as Roath Recreation Ground – which has pitches along its entire length. Dog owner Penny Bowers, who lives near Hailey Park, has set up the Cardiff Dog Action Group to object to some of the proposals. “It creates a lot of anti-dog feeling by promoting these proposals. They are using a sledgehammer to crack a nut,” she said. A spokeswoman for Cardiff council said: “While the majority of dog owners are responsible and do the right thing by cleaning up after their dog and keeping them under control, there is a minority who cause significant problems.